Action Item: Do EPA Water Permits Affect Your Business? Governor Polis has instructed Colorado air-quality officials to increase efforts to reduce air pollution by pressuring industries—including the oil-and-gas sector–along the Front Range to lower emissions. The Governor’s goal is to prevent the imposition by the EPA of the label of “serious violator” of Federal air-quality standards by (a) emphasizing renewable energy and electric vehicles and (b) reducing emissions from existing industry. According to an article by The Denver Post’s Bruce Finley, exempting air pollution from Asia, especially China, would reduce the “severity of Colorado’s violations of federal health standards.” Finley reports that air pollution from Asia could be up to five parts per billion. (ppb). Air quality along the Front Range for years has failed to meet Federal EPA standards. Ozone levels have exceeded the 70 ppb standards of 2015, not to mention the 2008 standard of 75 ppb. Violation of Federal standards could result in the loss of Federal funds for the state. If the EPA imposes a finding of “serious” violator on Colorado as opposed to the current status of “moderate,” then the CDPHE could impose restrictions on industries that produce emissions by reducing emission limits to obtain state permits. 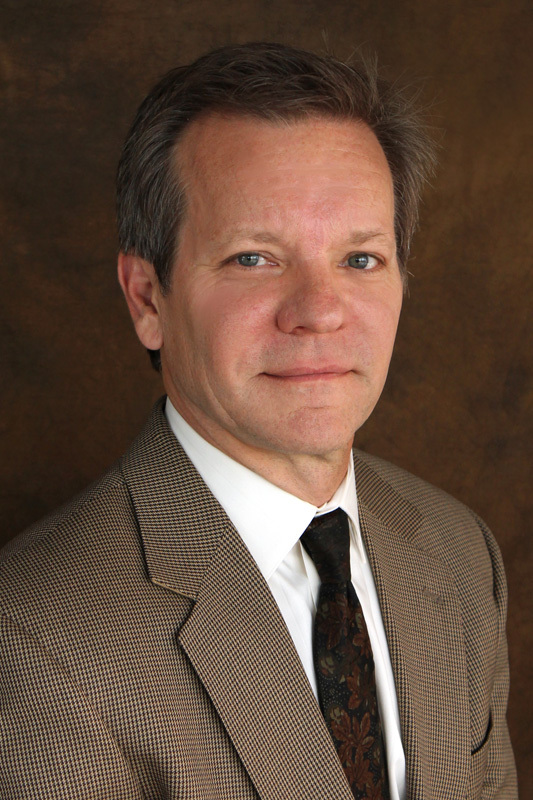 On Thursday, John Jacus, Chair of the Chamber’s Energy and Environment Council and Partner, Davis, Graham & Stubbs, testified before the Colorado Air Quality Control Commission, which is a unit of the Colorado Department of Public Health and Environment (CDPHE). The Chamber’s members strongly feel that such data should be evaluated by the Division and excluded from attainment/nonattainment evaluations by EPA, just as they are for other nonattainment areas of the country, on appropriate facts and when adequately demonstrated. The Chamber’s members are particularly concerned that the Division has been directed to discontinue its prior work on a CAA Section 1796(b) demonstration for possible submission to EPA. Modern air quality planning, permitting and compliance is an incredibly technical and complex endeavor, and the Chamber supports the Division, the Regional Air Quality Council and this Commission being able to evaluate and consider all available data and statutory options for protecting and improving air quality in a manner that also promotes the “productive capacity” of our nation, and where the benefits of control measures bear a reasonable relationship to the economic, environmental and energy impacts of those. measures (citations omitted). We also wish to note for your consideration that the General Assembly has expressly recognized in the Colorado Air Pollution Prevention and Control Act that “a current and accurate inventory of actual emissions of air pollutants from all sources is essential for the proper identification and designation of attainment and nonattainment areas, the determination of the most cost-effective regulatory strategy to reduce pollution, the targeting of regulatory efforts to achieve the greatest health and environmental benefits, and the achievement of a federally approved clean air program.” C.R.S. Sect. 25-7-102. The Chamber’s members respectfully question how this legislative declaration can possibly be satisfied if the Division is or has been directed to not consider, evaluate or estimate significant emissions from international sources and exceptional events that are contributing to ozone nonattainment in the DMNFR, whether such evaluation results in a change in nonattainment status or not. 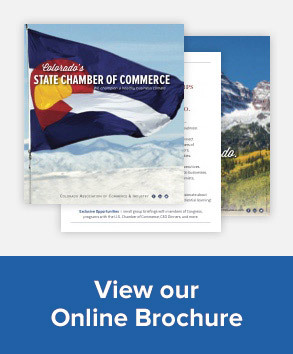 The Chamber wishes to reiterate its strong commitment to protecting air quality and the health and welfare of Colorado’s citizens, while also promoting a healthy business climate. The Chamber has supported the Division’s past funding requests at the Legislature, including just last session, and is working closely with the Division in the related stakeholder process. The Chamber has also participated in recent SIP rulemakings and comments frequently on air quality and other environmental regulatory matters of concern to its members and their involved employees, many of whom are environmental professionals who live and work in the DMNFR. An industry group, Defend Colorado, sought to persuade the Commission to hold a formal hearing to consider excluding the Asian pollution. The Commission declined to hold a hearing on the issue, however, because it said that Defend Colorado lacks legal standing. Others testifying Thursday included representatives of the Colorado Oil and Gas Association and Suncor. “Polis blocks blame-it-on-China push to prevent EPA from flunking Colorado as ‘serious’ violator’ of federal air-quality standards,” Bruce Finley, The Denver Post, March 22nd. “Groups push for statewide oil-and-gas emission limits in Colorado,” by Greg Avery, The Denver Business Journal, February 20th. The Colorado Chamber of Commerce joined with the U.S. Chamber of Commerce, local chambers and business organizations to testify against Senate Bill 188, the Family and Medical Leave Insurance (FAMLI) bill. Public entities also joined with the business community to oppose the bill as amended, including the Colorado Municipal League, Colorado Counties, Inc., the Colorado Special District Association, and county commissioners from across the state. In advance of a hearing on Senate Bill 188, the paid family leave bill, in the Senate Finance Committee on Wednesday, the Colorado Chamber of Commerce released a list of public and private entities opposed to the bill as amended. Representing a wide range of industries, thousands of businesses, all 272 cities and towns, and over one million workers statewide, these organizations support paid family and medical leave in Colorado but have joined together to express major concerns about the provisions in SB 188. The Board of Directors of the Colorado Chamber of Commerce voted to support House Bills 1257 and 1258, which would allow voters to decide whether the state can keep excess revenues under the Taxpayer Bill of Rights (TABOR) and allocate one-third each to transportation, higher education and public schools. Please visit our online calendar for a complete list of councThis text is highlighted in yellow. New EPA-proposed definition changes to Waters of the United States (WoTUS) mean greater regulatory clarity and more predictability, particularly for 404 permits utilized most often by manufacturers and mining. Additionally, the Colorado Chamber believes proposed EPA changes create a right-sizing of 2015 EPA rules that went beyond Congressional intent and disregarded already-existing state and federal water protections. Under the 2015 rule, typical waiting delays for CWA 404 permits were two- to three-years & $300,000; non-compliance fines were more than $53,000/day. Proposed EPA changes not only address the above “catch-22” placed on businesses, but takes implementation costs to businesses into consideration, and clarifies legal definitions to prevent frivolous lawsuits against businesses and private citizens. This is your chance to review the Colorado Chamber’s draft comments on the EPA’s proposed definition changes. Contact Leah Curtsinger if there are areas of the comments needing general edits, clarifying changes/comments, or more specific details (as they relate to your field or industry, data, etc.). Please return any comments by COB on Tuesday, April 2nd, 2019. To read draft Chamber comments, click here.